Being a noteworthy enterprise of this industry, we are offering a wide spectrum of Soft Baby Wipes. We put forth for the clients Teddy Baby Wipes with hypo-allergenic formula and aloe vera. The wipes are precisely made using superior materiel for extra soft and gentle application on skin. We have set up an advanced facility for testing quality parameters of the finished product. 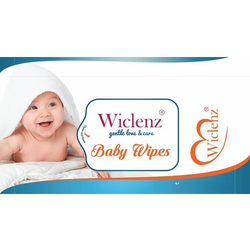 Wet Wipes that helps in keeping baby skin soft & refreshed are offered in pack size of 30's & 80's. Pristine Care Products Pvt. Ltd.
We are offering Baby Wipes. We are offering Oasis Natural Baby Wipes - 25 Pulls packs to our clients. 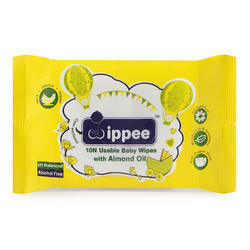 Matching up with the ever increasing requirements of the customers, our company is engaged in providing Soft Baby Wipe.